BREAKING NEWS: We help players find the Best Batting Tee for 2019! One of the most efficient ways to practice your swing is to invest in a baseball hitting net and a tee (that the Pros use), so you can literally practice anywhere at any time. Having a good tee to hit off of is like having a best friend who is by your side after your girlfriend just broke up with you. Ok, maybe that wasn’t the greatest analogy, but you get the picture: You need a reliable baseball tee… or else you could be doomed forever! Review Section: Which Batting Tee is Best? Not all baseball tees are created equal. In fact, if you purchase the wrong one, you could be hurting your swing. First of all, that’s the main reason we created this buying guide. We already lived the reality of going cheap and it backfired at the most important of times. Frustration set in, focused was lost and so was time and energy. Second, we want to help really good ball players get to the next level and use what the top players in the world are training with. 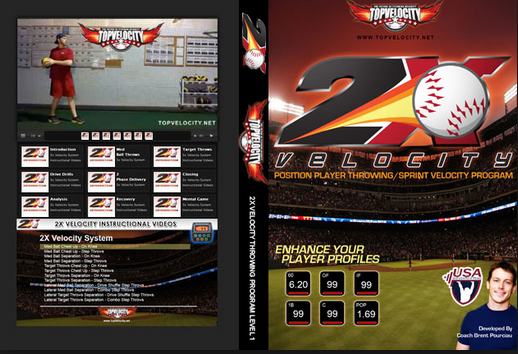 This site is all about helping all levels of ball players, but we always wanted to help out the more serious players get to the college and professional levels. Mind Fuse Baseball helps those aspiring to be great and have fun in the process. That’s what we’re all about. One of the many ways we help is create baseball equipment reviews. We use professional players’ opinions, and what works for us. We’ll help you find the right one for you. Our options will be the highest quality mixed with an affordable price. We will highlight the Pros and Cons of each one that we mention, so you can feel confident knowing what you’re purchasing. There are a few things in today’s market that we look for. For starters, if we were buying a tee today, we would look at the brand name first. 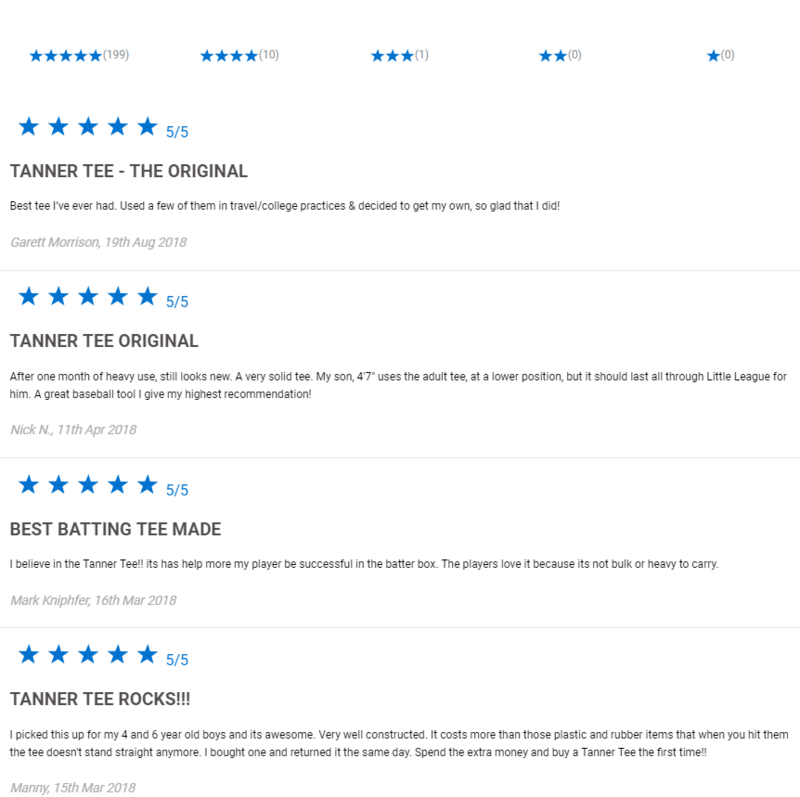 Tanner tees are by far the most elite brand because they specifically focus on manufacturing the best baseball batting tees. They use high quality materials which help them last longer than any other brand you will find. There are also other brands out there that do a good job, and we will be sure to show you those in our list. The biggest question at stake here is, when you hit the ball off of a tee, do you feel the ball at contact, or the rubber? Remember, you need a realistic hitting experience during your tee work. How does the ball look when it’s sitting on top of it? Again, it must resemble an authentic look so you can focus on hitting line drives, and practice where you need to hit the ball. When it keeps falling / tipping you need to keep spending the extra energy to lift it back up and put it in the perfect place. The proper weight distribution will keep it in tact so you can focus on getting repetitions and you’ll never have to move it. Can it easily adjust heights? It must be smooth and not over complicated, or else you’ll get frustrated with the darn thing. Believe us, that’s happened multiple times and it flat out gets old. If you are anything like us, we love bringing our training aids on the go. We will show you the ones that are portable so you can bring them wherever you want and be able to fit them in your baseball bag. Here’s a quick look at the Top 5 best batting tees from our research and testing. Ready? So are we! We break down our top 5 with Pros and Cons. If you choose any of the five, you won’t be disappointed and you will be able to work on your swing with reputable and reliable equipment. This is the top dawg, and there’s no doubt about it. Super adjustable and depending on your preference, it has sizes for adults, youth and for the low ball. Equipped with a ten pound heavy “claw” that provides three points of contact for extra grip on any type of hitting surface you will use. The base is solid and many players report that even after many swings, it still stays in place. That my friends, is a rare find! It has amazing feel when hitting, meaning you will feel the ball, not the rubber the ball sits on. Practicing with the Tanner Heavy will give you the most realistic practice experience. We love the Tanner brand, but the heavier it is, the better! This Jugs T Pro is endorsed by big league slugger Albert Pujols. Will it tip over after hitting the ball? If you hit the ball correctly, it won’t tip over! The Jugs T barely moves after numerous swings and you won’t find yourself constantly re-setting it, which we all know can be super frustrating. Always feel the ball when you hit with the Jugs T Pro. 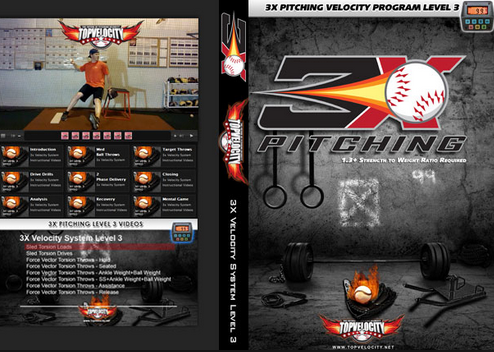 This gives the hitter an unbelievable advantage because it provides a realistic experience. You bet it is! It has a full 24” to 46” adjustment range. Hitters can work on their swing mechanics through the entire strike zone, which is so under rated. There is also a patented grip-n-go handle which makes it easy to grab it and transport it anywhere you want. It can also fit in bigger bags just in case you need to bring it to practice. This is much like the heavy, but it’s obviously a little lighter. The quality in terms of materials used to construct it are outstanding. The base has extra weight which provides rock-solid footing. It also prevents movement or tipping. Let’s face it, we don’t always hit the ball perfectly. This Tanner Pro can easily fit into any bat bag because of how thin it is. The Tanner Pro provides an amazing feel when hitting the ball. You’ll never feel the rubber when you hit the ball the right way. This is a great feeling and one that you should experience when practicing. If you’re looking for something not as high tech as the first three in our top 5, the Tanner Original is a great choice. Excellent quality. The Tanner brand is really worth the price. The Original is an industry leading and a best-seller. It boasts hundreds of 5 star reviews and is good for all skill levels. Easy adjustments with patented hand-rolled flexible rubber top to make an authentic feel when hitting the ball. This is the smallest of the Tanner brand, so it’s great for sliding into a bat bag and bringing it literally anywhere you want. The Ordinal is very lightweight and easy to disassemble. 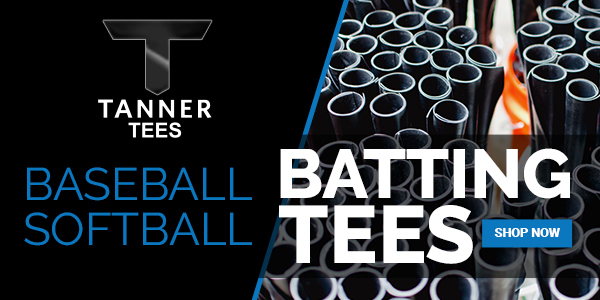 One of the main reasons we recommend the Tanner Tees is because they all have the rolled sheet ball holder. If you don’t know by now, the rolled sheet helps the hitter feel the ball, not the rubber. It’s what we all strive for as hitters when we’re practicing. The MaxOver X4 has smooth internal slides for easy height adjustment. It also has stainless steel locking collar which makes it easy to disassemble. Built with a rubber-skinned steel base, it is designed to resist slippage. That’s a huge relief to most ball players. You will barely see any tipping with the MaxOver X4. Now that you know what we know, you can start to narrow things down to what your needs are. Any one of these from our top list will be worth the money you spend on them. They are built with the highest quality, and they are designed with the ideas of some of the high level hitters in baseball. If you really want to improve your hitting, then invest in one of these best baseball batting tees of 2019.